Media behemoths are bad for democracy and bad for consumers. The American mainstream media spent the last year normalizing and propping up a racist, xenophobic, misogynist candidate whose closest advisers include white nationalists and politicians with a track record of oppressing women, people of color, and the LGBTQI community. In the days since the election, hundreds of hate crimes have been reported. We've seen our friends and families living in fear. And yet the media continues to treat President-elect Donald Trump like he's nothing out of the ordinary. It's never been more apparent that the corporate media has failed the people of this nation. But the march toward centralized, consolidated media and communications platforms pushes on. AT&T is an enormous media, telecom, and internet gatekeeper with a horrible track record of overcharging people and limiting their choices. AT&T is still trying to end Net Neutrality -- the fundamental protection that keeps the internet open and free from discrimination. That's not all: The company helps the government spy on people. For decades, it's been profiting off the sale of our private information to law enforcement and intelligence agencies through its secretive Project Hemisphere. AT&T has also fought to prevent communities from building their own broadband networks. And it's a member of ALEC, the corporate-backed lobbying group that's pushed pro-fracking, voter-suppression, and “stand your ground” bills that disproportionately harm people of color in states all over the country. AT&T swallowed up DirecTV in a huge merger in 2015. If it succeeds in taking over Time Warner, it'll own multiple top cable networks, major movie franchises like Harry Potter and Batman, and more, in a deal valued at $85 billion (or $107 billion, once you factor in all the debt). The merger would combine one of the nation's largest phone and satellite-TV companies with a media powerhouse. With AT&T controlling mobile and wired internet connections and a significant amount of content, its ability to crowd out new and independent voices would only grow. This merger would turn AT&T into the ultimate gatekeeper -- controlling internet access for hundreds of millions of people and the content they view. Mergers like this increase prices for the rest of us. That's what happened after Comcast merged with NBCUniversal, Charter merged with Time Warner Cable, and AT&T swallowed up DirecTV. These deals also lead to job losses for working people. Members of Congress, including Sens. Bernie Sanders and Ron Wyden, are urging the Justice Department and the Federal Communications Commission to block the deal. And within a week of the merger's announcement, more than 115,000 people had expressed their opposition. Candace Clement is the campaign director for Free Press. 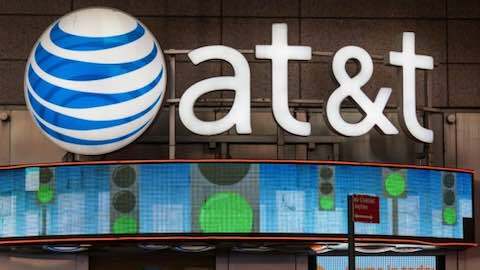 Business: "Bigger AT&T Is the Last Thing We Need"